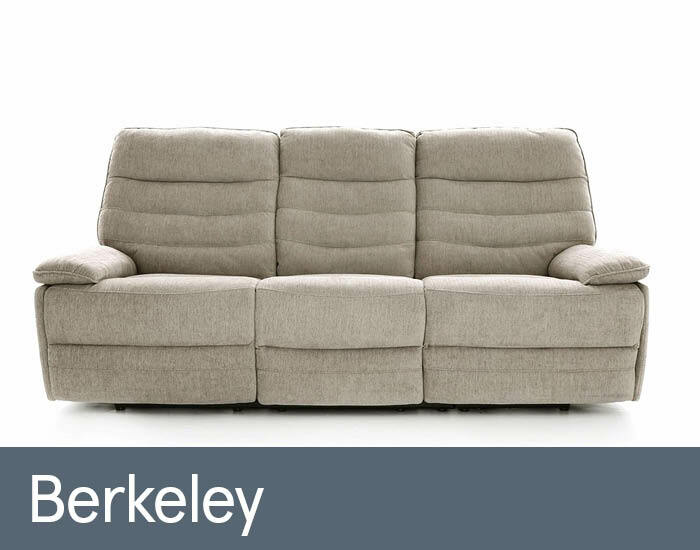 Berkeley is a neat and compact collection of transitional reclining sofas and chairs with a contemporary twist. Its generous high backs with integral support have genuine classic appeal, yet its simple, neat tailoring and sleek, straight lines lend a contemporary flavour. Choose from manual or power reclining seats then sit back with a full leg chaise support and Berkeley's luxurious deep fillings.